Educating the youth of today about the power of the Seventh Resource is a top global priority – and one that we are championing for Global Recycling Day 2019. Our vision is to connect the strong example the football industry sets for recycling, with the inspirational support of players, from next generation to today’s footballing heroes, to reach young people across the world, helping influence behaviour change. In short, we are harnessing the power of football to inspire long term recycling habits in young people across the world. 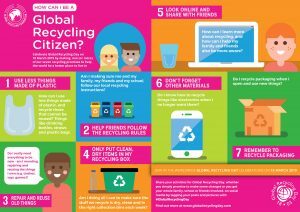 #RecyclingGoals is a social media movement, which will run in the lead up to Global Recycling Day. And we are asking all social media users to take part! All you need to do is take a video of yourself scoring a “Top Bins” goal (in a recycling bin in the top corner of the goal or just scoring into the top corners of a normal goal) whilst pledging to make a long term commitment to better recycling practices e.g. “I pledge to recycle all my plastic drinking bottles from today and I nominate John Smith to take the #RecyclingGoals challenge”. 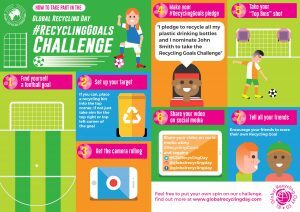 We then ask you to share your video online via your social channels using #RecyclingGoals. 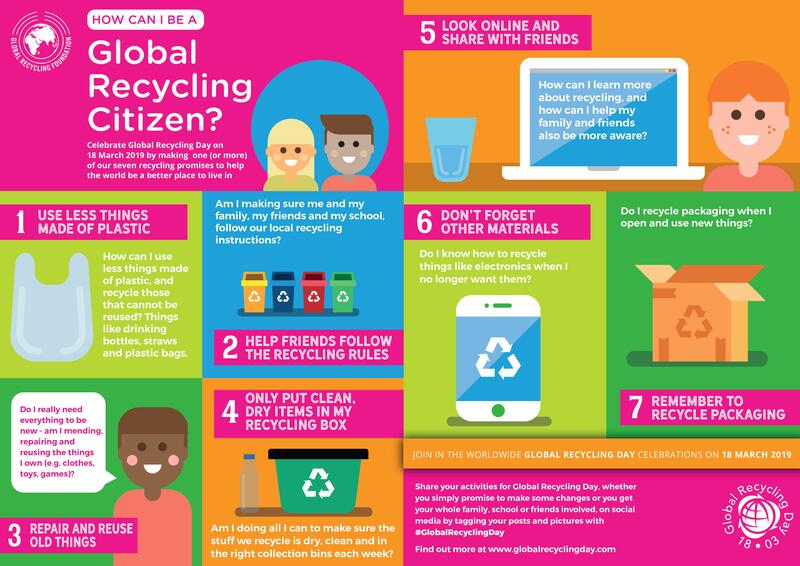 Look out on the Global Recycling Day social feeds as we will be reposting our favourite contributions. Alongside this, we will also be asking for similar recycling pledges from football clubs and players from around the world, from next generation up and coming stars of the future, to today’s footballing heroes.